The Sunbounce system consists of an aluminum frame that can be easily assembled and combined with different reflecting, light-reducing, or light-absorbing screens. The Large Screen Saver Bag for Sun-Scrim from Sunbounce is a duffle bag designed to safely transport and store your Sun-Scrim screens (not included) up to 20 x 20'. Plastic windows allow you to see which screens are in the bag. There's also a small holder for insertable labels in the bottom. 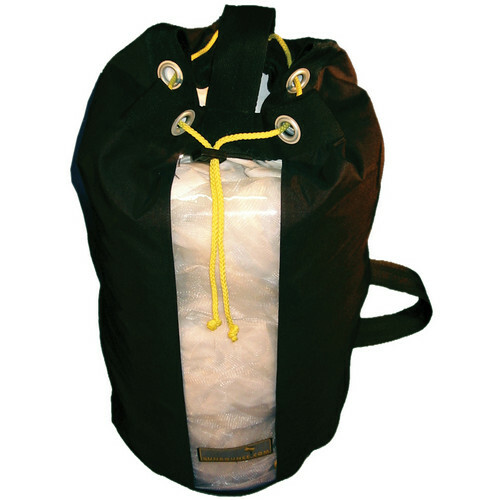 The bag measures 24 x 19" (62 x 48 cm) flat and weighs 0.77 lb (350 gr) when empty. Box Dimensions (LxWxH) 14.0 x 11.5 x 0.5"